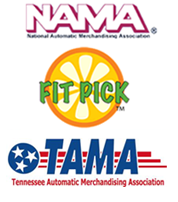 Since 1946, Palace Vending has been a leading supplier of vending machines and vending supplies for the Kingsport, TN Tri-Cities Area. 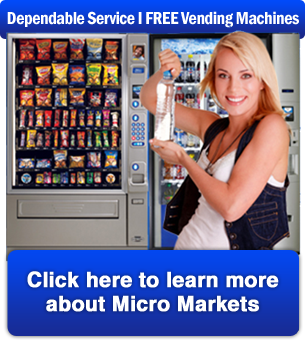 We provide vending machines, soda, beverages, vending, vending snacks, office coffee service, Coke vending machines, Pepsi vending machines, food vending machines, coffee vending machines, Water Service and more! 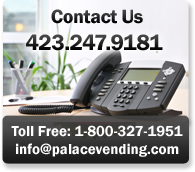 Service is always our most important concern at Palace Vending. 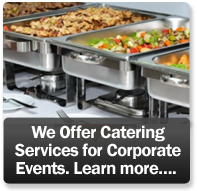 We serve a wide range of businesses and organizations in Kingsport, TN and surrounding communities such as Johnson City, Bristol, Morristown, Greeneville, Marion, Abingdon, Wise, Norton, Duffield, Elizabethton, and Rogersville. 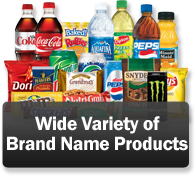 We offer a variety of brand name products tailored to meet your expectations including snacks, beverages, and food machines that include many healthy selections. 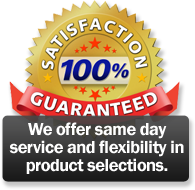 Palace Vending makes YOU the customer our most important priority. 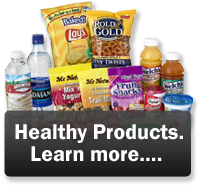 We use our long experience and extensive resources to make sure your vending experience is the best available.